Even though air conditioners are generally sturdy devices built for long use, regular maintenance is they key to efficient operation and long life. Give it some love and attention, and it will reward you with peak operating efficiency and increased comfort. So what are the penalties for letting maintenance slide? In addition to a loss of cooling efficiency that results in higher electricity bills, you’re looking at possible high repair costs and even early replacement. The common rule of thumb: for each year of routine maintenance you skip, your air conditioner loses about 5% of its efficiency. It also boils down to the fact that the cost of an annual checkup from can be recovered very quickly in savings on electric bills, repair bills and replacement costs. Even if you’ve put this off for years, a tune-up can bring back your A/C’s efficiency to optimum levels. Soaring energy costs can cost you a fortune! Now more than ever, it is so important that you take the proper steps to keep your home comfortable without spending more than you have to. Here are a few quick tips that will help you maintain your comfort system and keep your home cool all summer long. Get regular checkups (twice a year) to keep the system operating efficiently and to prevent costly repairs. It’s much easier, and often cheaper, to prevent damage than it is to repair damage. Don’t forget to change your system’s filter once a month. This will help the air to flow freely through your system making it easier for the system to operate. Keep your curtains and shades drawn on the south and west windows of your home. Average utility savings can be 3% – 6%. Remember to turn off your outdoor unit when mowing your grass. If cut grass and debris is blown into the outdoor unit it will interfere with the airflow and decrease the efficiency of your air conditioning and heating system. Mow away from your condenser. Plant a tree. Trees absorb carbon dioxide from the air and provide shade to naturally shade your home from the sun. Are you leaving home for a long weekend getaway with the family or maybe taking a day trip? Never turn OFF your air conditioner, leave home, and then come back home to turn the A/C back on. If you do, don’t expect your house to cool off for a long time. Even worse, this won’t save you any money. Turning your air conditioner off on warm days will actually force your air conditioner to work harder to get back to the desired temperature when you return home. Heat and humidity build up in your home’s walls, furniture and carpet so it will take many hours to eliminate that heat. 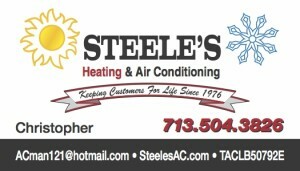 Next time you head out the door, set the temperature up 2 to 4 degrees, instead of turning your A/C off. This will help keep those utility bills lower and keep you comfortable when you arrive back home. Save up to 10% on utility bills. Improved heating and cooling capacity. Protection against rising energy costs. Improved family safety with carbon monoxide checks. Conserve our nation’s energy supply. Have your furnace checked annually. Furnaces should be cleaned and tuned up before each heating season. Make sure you have adequate insulation in the attic and walls of your home. Take steps to keep air from leaking around doors and windows. Regularly check and replace filters on your furnace. Lower your thermostat setting when you are not at home.